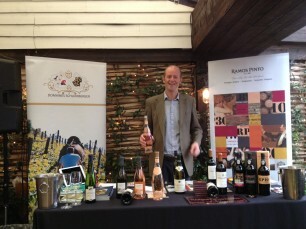 This year’s Soho House Wine Fair took place on the 6th and 7th of October at London’s Shoreditch House. Along with the spectacular views from the roof top garden, 500 members of staff were invited to sample fine wines from around the world and to meet their suppliers. The annual two day event was hosted by wine consultant, Vincent Gasnier, with our very own MMD table showcasing a classic selection of wines including Pascal Jolivet from the Loire and Domaines Schlumberger, Alsace, Murrieta from Rioja and Ramos Pinto Port.